Apple's new iPad, iPad 5 is rumored to be launched in March 2013. The rumors are coming from China. A Chinese site Zol says that the next generation of iPad Mini may also be launched in March 2013 or in November 2013. According to Rumors, the iPad 5 will have a shorter screen than iPad 4, it will small in size like iPad mini and it may also happen that Apple will launch its new A7 chip on march, 2013. 5th Generation iPad is rumored to be 4 mm shorter and 2 mm thinner than iPad 4. So we can say that iPad 5 will be much similar to iPad mini. Its shorter size may also have an impact on battery life. Or Apple may introduce some another technology for better battery life. Sources says that Apple may also introduce its next generation chip that is A7 chip on march 2013 so this iPad 5 will be much faster than its predecessors. 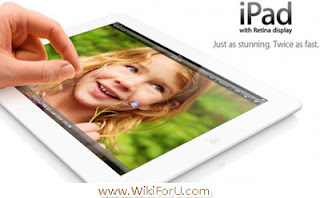 2012's successor, iPad Mini's next generation is also rumored to be launched on March, 2013. According to sources, the next generation of iPad Mini will be same in size and shape while powering a very high resolution Retina display. The retina display of the iPad Mini 2 will be of 2048×1536 resolution and 326 ppi. Recently, Apple focused more on its savings rather than investing in technology and testing. As we see in iPhone 5 launch, the addition of Apple Maps really effects users. So this time it looks like Apple is focusing on technology that will reach in the hands of a common user. With the launch of iPad Mini, Apple gives an option to low-end users to enjoy iOS and Apps of iPad on a very less price tag as compared to iPad 4. On the other hand Google entered in the era of tablets with its Nexus 7 and Nexus 10. So this time Apple is going to compete with Google with the next generation of iPad Mini. Let us see if Apple could make it. We are here to watch the War. How you feel about these new iPads. What you think will be Winner : Google Android or Apple iOS? Please give us your suggestions and feedback via comments. Also Read: Apple iPhone 5S Rumors and Technical Specs.